In celebration of the beginning of summer we're kicking off our SUPER SUMMER SALE from now (June 21) through next Friday (June 28th). All week we'll be having 40% off massively popular books from top publishers. Click on the On Sale! 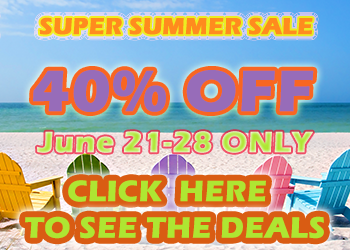 link to see what's waiting for you to pick up for ALMOST HALF OFF!